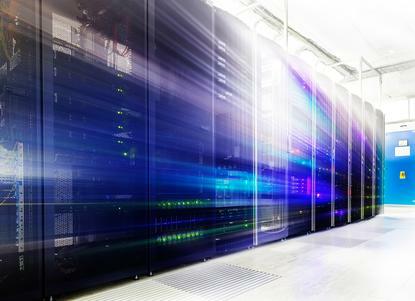 Spark implements new cooling system in one of its Central Auckland data centres. Spark has implemented a new cooling system in one of its Central Auckland data centres, which has resulted in saving over 45 homes worth of energy annually. According to the telco, a trial of the Vigilent system has seen Spark reduce its energy consumption by over 517,000kWh per year, with the average New Zealand home using just over 11,000kWh annually. In addition, the new system also reduces greenhouse gas emissions by 318,461 kg per annum – which equates to the same amount of emissions as 16 full flights between Auckland and Wellington. “Initially we believed Vigilent’s energy saving claims to be unrealistic, but the results have been phenomenal,” says Ron Brown, Head or Property, Spark. “The set up took two weeks, and immediately we could see that nearly half of the coolers were on standby. As Brown explains, data centres house a large number of servers, and due to the heat that is generated they require sophisticated cooling systems. Previously Spark needed to run process cooler units (PCUs) constantly to keep the data centre and equipment at an even temperature. “We installed the Vigilent system - a cooling control system specifically for use in large data centres, which uses wireless controllers on all the PCUs,” Brown explains. “A wireless temperature sensor is mounted on every 3rd or 4th rack – which measures the temperature in between the racks and then adjusts the process coolers, turning them off if they are unrequired. Brown says Vigilent has also allowed Spark to redesign the layout of its data centre - placing larger servers in areas that have the most available cooling systems, and relocating floor grills to where they are really needed. “Being able to plan and reduce cold/ hot spots means a long term benefit is that hardware life is greatly extended,” Brown adds.